Vintage Grapes and Wine Brush Pack - Free Photoshop Brushes at Brusheezy! 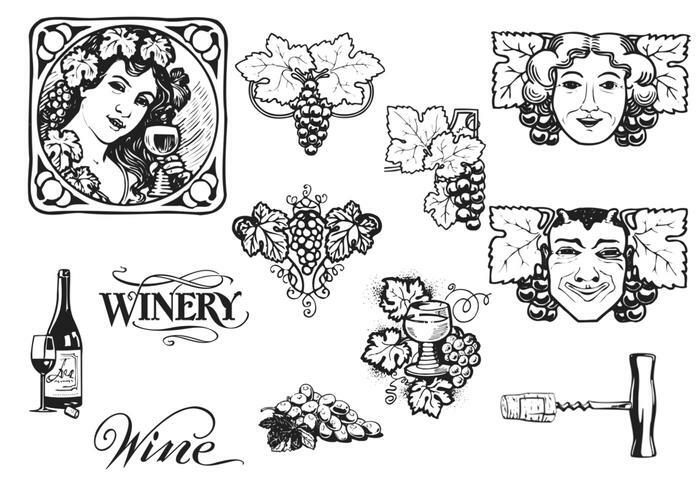 Open a bottle and sit back and relax with this Vintage Grapes and Wine Brush Pack! You'll be able to add some timeless class to your designs with these vintage grapes brushes and wine brushes. Included in this pack are twelve different different wine bottle brushes, cork opener brushes, grapes, goblets, and more. Download the <a href="http://www.vecteezy.com/food/56206-vintage-grapes-and-wine-vector-pack/premium">Vintage Grapes and Wine Vector Pack</a> over on Vecteezy, too!